It’s really going to be released on the 30th, isn’t it! Don’t pull the rug…..please, not again. Awaiting an email any day now saying my order has shipped! I love that you’re giving us these teases ahead of the release! Are these scenes featured in the extended cut of the film, or are they included as the Blu-ray’s special features? Waw! The most beautiful movie! best movie ever! im 23 years old and i already watched this movie around 27 times, always amazing, every time has a new feeling, please Cameron! 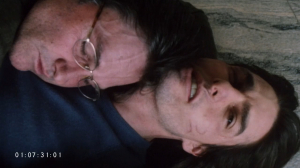 do more films like Vanilla Sky, teeeeech suppoooooort! I’ll see you in another life. When we are both cats. Oht of all your movies, I cannot say anything nice about this film..
Love Vanilla Sky!!! Thanks for the wonderful movies. You are a true inspiration!!! I absolutely love this movie. Me too. I thought the scenes between Cruise and Cruz were beyond anything we’ve seen in a movie before. loved it the vulnerability of cruise’s character was too good ! Where can I get a copy of Heartbreakers Beach Party? FINALLY!! : Your Amazon.com order of “Vanilla Sky w/ Alternate…” has shipped!